Dr. MacDonald has been private practice for the past 16 years. He specializes in all aspects of podiatric medicine. Dr. MacDonald received his bachelor’s degree in biomedical engineer with a concentration in biomechanics and a minor in philosophy from Rensselaer Polytechnic Institute. He completed his doctorate of podiatric medicine from Barry University and completed 3 years of residency in podiatric orthopedics and podiatric surgery through the New York College of Podiatric Medicine and affiliated hospitals being the chief surgical resident in his final year of residency. Dr. MacDonald is board certified by both the American Board of Foot and Ankle Surgery and the American Board of Podiatric Medicine, as well as, being a fellow of the American College of Foot and Ankle Surgeons. He is also a member of the American Academy of Podiatric Sports Medicine, the American Podiatric Medical Association, the New York State Podiatric Medical Association, the Suffolk County Medical Society, and the Suffolk County Podiatric Medical Association, were he has served as president and vice president. 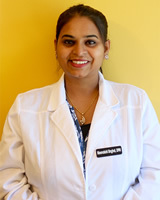 Dr. Singhal attended Stony Brook University for her pre-medical training. She graduated from the New York College of Podiatric Medicine in 2013. She then completed a 3 year residency training program in Foot and Ankle surgery at the Northport VA Hospital in Northport, NY. Dr. Singhal is Board Certified by the American Board of Podiatric Medicine. She has membership in the American College of Foot and Ankle Surgeons, the American Podiatric Medical Association, the New York State Podiatric medical Association, and the Suffolk County Podiatric Medical Association. Dr. Singhal has a special interest in diabetic foot care, emphasizing a multidisciplinary approach to treating patients with diabetes who have foot problems. Dr. Mand attended Binghamton University for his undergraduate education where he graduated with a B.S. in Biology. He continued his studies at the New York College of Podiatric Medicine where he completed his Doctorate of Podiatric Medicine in 2014. 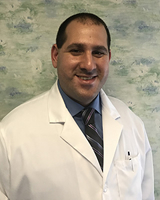 He underwent 3 years comprehensive residency training in podiatric medicine and surgery, with additional training in reconstructive rearfoot and ankle surgery, at Long Island Jewish-Forest Hills Hospital. Dr. Mand is board qualified by the American Board of Podiatric Medicine. He is a member of the American College of Foot and Ankle Surgeons, the American Podiatric Medical Association, and the New York Podiatric Medical Association. Currently, and for the past 10 years, Dr. Mand is an active volunteer firefighter in his community. Dr. Kempf graduated from the New York College of Podiatric Medicine in 1998 in the top 20% of his class. 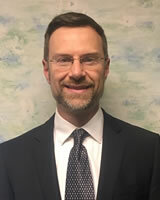 He completed a surgical training program at the Northport VA hospital in 2000, and is currently serving as the Assistant Director of the Podiatry Residency Program. 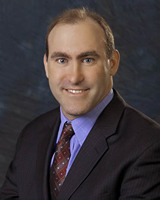 In 2006, Dr. Kempf earned his surgical board certification.